There are few sandwiches more perfect than the beloved grilled cheese. Crispy on the outside, warm and melty on the inside, it’s a classic that’s stood the test of time. While there will always be a place for a simple grilled cheese to add comfort and warmth, we think something this good can go even farther. We’ve got five fabulous ways to turn your childhood (and adulthood) favorite into a delicious main dish that’s certain to create more grilled cheese memories. 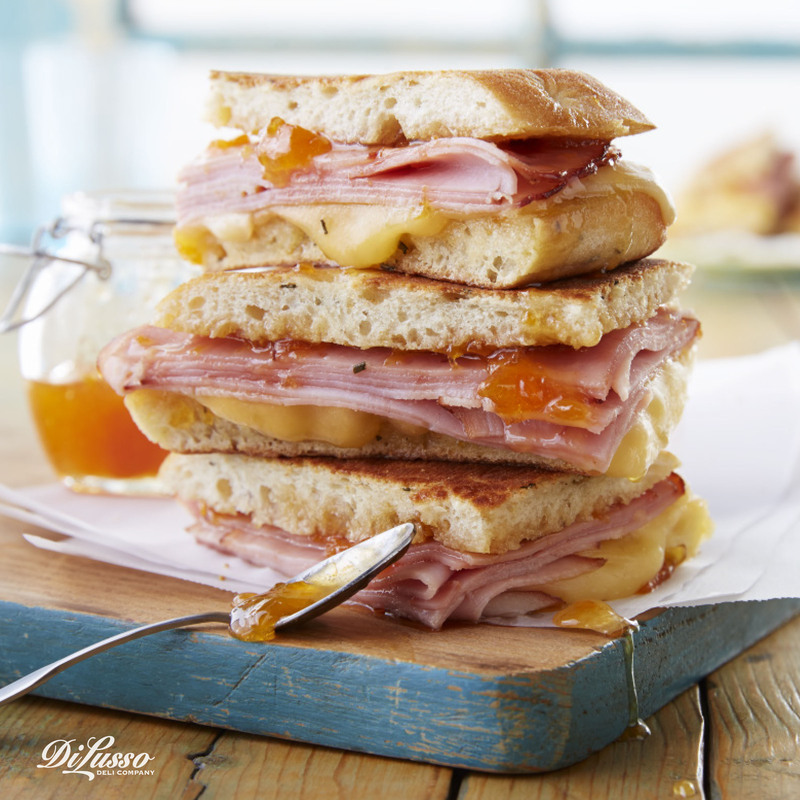 Sweet and savory fans will fall head over heels for our Grilled Ham and Havarti Sandwich. The contrasting blend of flavors is really over the top in this gourmet-inspired grilled cheese. Rosemary focaccia has a beautiful hint of savory fragrance that when combined with the sweet apricot jam and honey is even more delightful. 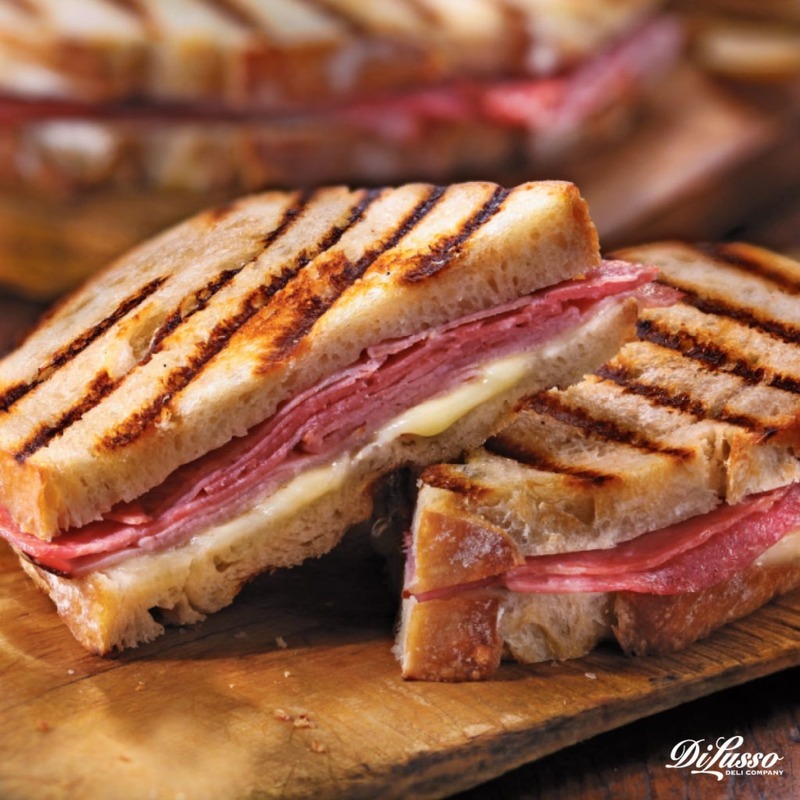 Moist and flavorful smoked ham is perfectly paired with ultra creamy and mellow havarti cheese. This sandwich is absolutely bursting with flavor. It may seem as though you’ve found grilled cheese perfection, but rest assured, we have more must-have recipes to share. At first glance, this Turkey Havarti and Pesto Panini looks like a close cousin to your childhood favorite. But hidden under that perfectly grilled light bread are mouth watering slices of smoked turkey, melted havarti cheese, a spread of fragrant, flavorful pesto and lots of smiles. If you’re like us, you think that cranberry sauce deserves a life beyond Thanksgiving. 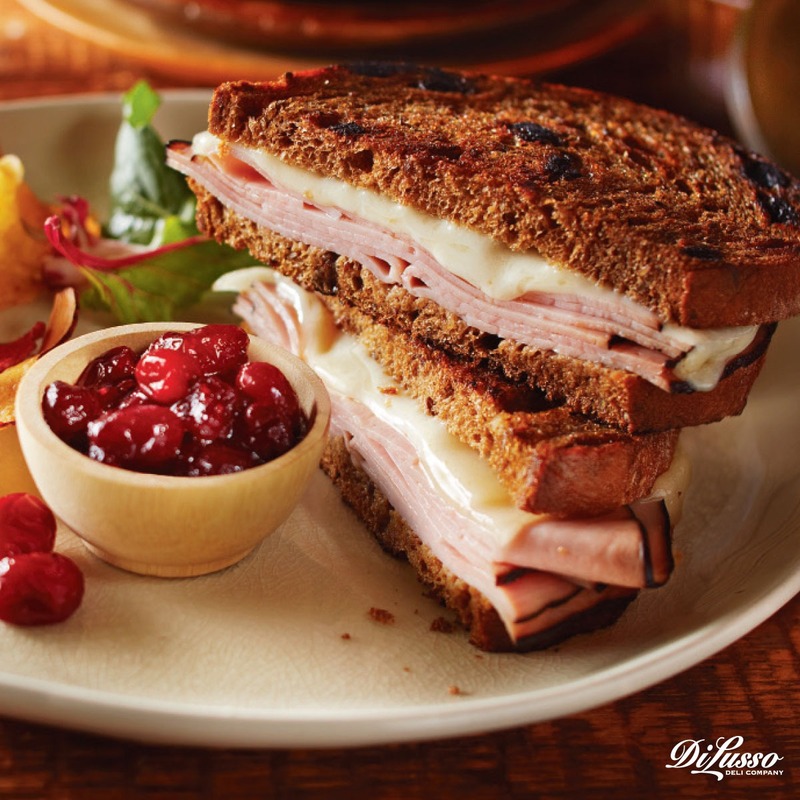 That familiar sweet-meat combination can be enjoyed all year long with our Ham and Swiss on Pumpernickel Sandwich. Moist, smoky Black Forest ham and classic swiss melted between the sweet rye flavor of grilled pumpernickel is a delicious as a weeknight dinner, a weekend lunch or just anytime. 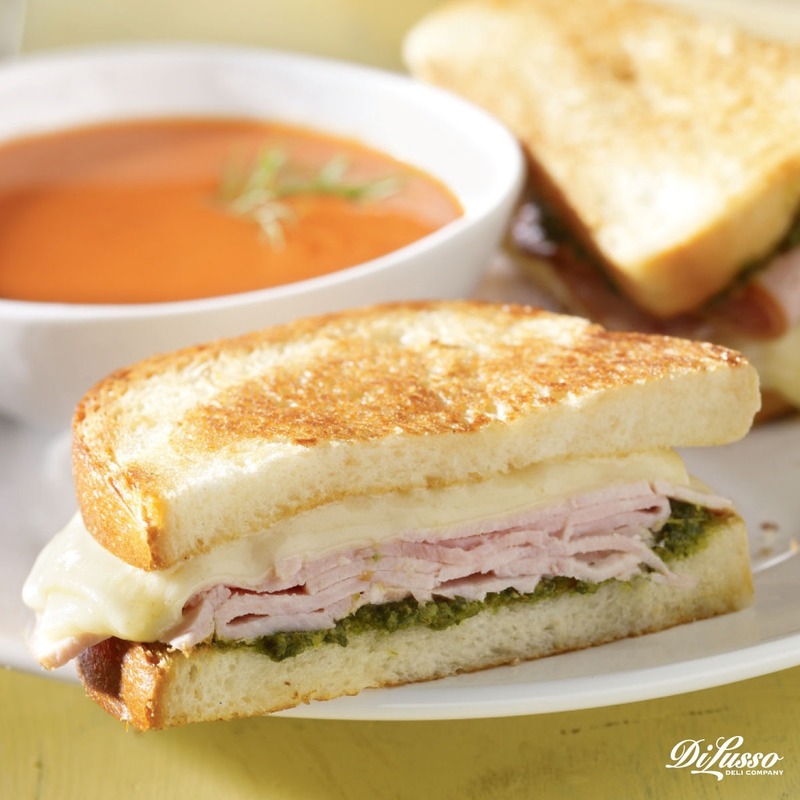 Our Italian Grilled Cheese is one of the most zesty, full of flavor grilled cheese sandwiches we’ve tried. sopressata is what gives it such a wonderfully authentic, robust and spicy flavor. 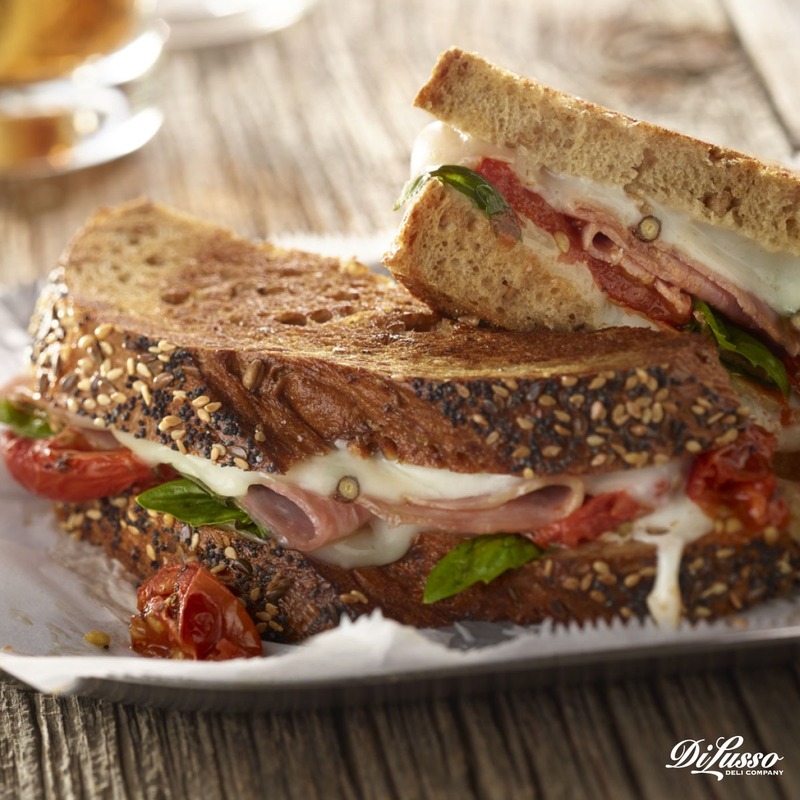 With melted Provolone and mozzarella cheeses, roasted tomatoes and fresh basil, it’s a perfect marriage of Italian flavors. We love dipping it in marinara too. Try serving it with a small side salad of baby greens and a nice balsamic vinaigrette for a deliciously easy dinner your family will love. Melted cheese is the hero of most grilled cheese sandwiches, but we like adding variety with this meaty Grilled Sopressata. It features three of our meats (virginia ham, genoa salami, and pepperoni) along with a rich smooth layer of melted provolone. Cooked on a panini grill until the bread has a crispy finish, this sandwich will satisfy your grilled cheese craving plus keep you full until your next meal. This list wouldn’t be complete without a celebration of what truly makes the grilled cheese sandwich so legendary. Enter the Tre Formaggio, or Three Cheese Sandwich. chipotle cheddar, provolone and smoked gouda cheeses make this of the king of grilled cheese. Although virtually any bread will do, a light and tangy sourdough will knock this one out of the park. Tell your family you’re having grilled cheese sandwiches for dinner and they won’t be late. Serve them this three-cheese sandwich and they’ll never want to leave the table. Surely there’s more cheese and bread where that came from. Seconds anyone?